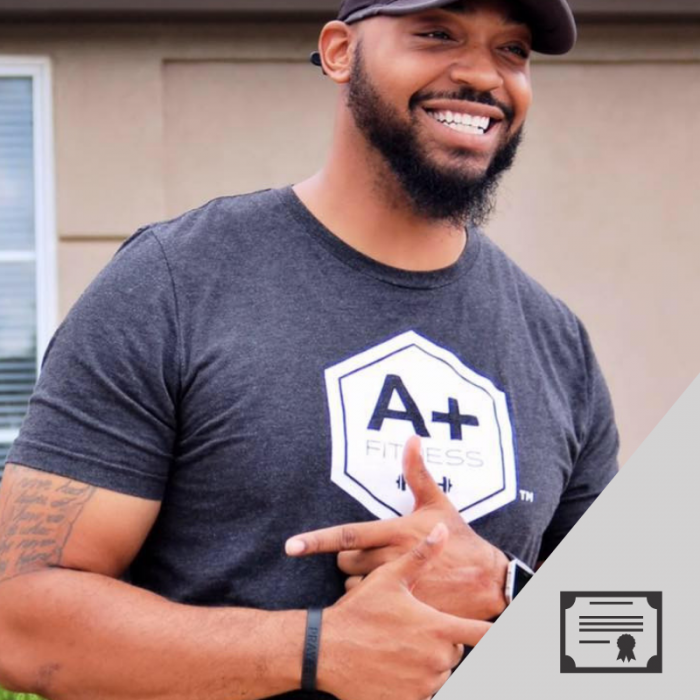 The Master Trainer is an experienced fitness enthusiast who takes training knowledge to the next level in their professional development. This course includes three (3) advanced knowledge courses that assure your understanding of specific exercise methods and fitness concepts. The 3 courses include: Fitness Nutrition Specialist, Endurance Training and Resistance Training. Become a NFPT MASTER FITNESS TRAINER and enhance professional credibility, marketability and confidence in your trainer services. This NFPT Master Fitness Trainer program is independent of the NFPT Certified Personal Trainer (CPT) course and credential. Requirement for receiving the NFPT Master Fitness Trainer title = a current Certified Personal Trainer (CPT) credential, from NFPT or other reputable source, OR special consent for approval based on one or more of the following: geographic location, level of education, fitness background/experience (special consent is determined at the discretion of NFPT on a case by case basis). Save $200 with the NFPT Master Fitness Trainer Program (includes all 3 NFPT Courses at a substantial purchasing discount)! Enhance your trainer resume with this title! Each of these 3 subject areas has a respective manual and test. Each test is taken online at your convenience. After completing all 3 tests, you receive the NFPT MASTER FITNESS TRAINER title. You receive a certificate of completion for each test that you pass and instant CECs towards your Certified Personal Trainer (CPT) credential. You need 2.0 CECs each year, each course test is worth 2.0 CECs. So you’ll get all the credits you need to recertify, and then some! It’s a win-win! *If you are not trainer certified with NFPT, you can still submit these courses for CECs with your certification agency (generally, this is done by uploading your certificate of completion in your trainer account). If you are a certified personal trainer, and you want to take your education to the next level, then you should consider a Master Trainer course. These 3 individual courses are taken independently, in your online account, for a well rounded knowledge of fundamental concepts in nutrition, endurance and resistance training. You will be proving to yourself that you can take it to this level, while also adding confidence in your training services and information to you trainer toolbox that you’ll use everyday in your work. Show your clients that it is important to you, and then show them results. Access to tests for 3 years! Enrolling to this NFPT Master Fitness Trainer course is the same as enrolling to all 3 of the specialty courses (Nutrition Specialist, Resistance and Endurance courses), but, with this enrollment option, you get a discount and a NFPT Master Fitness Trainer certificate. 3. Take the tests (3) whenever you’re ready, in your NFPT Account. When you pass each test, you will be instantly awarded your respective Certificate for printing and display. Upon successful completion of your third and final test, you will be awarded your NFPT Master Fitness Trainer certificate. As a NFPT certified trainer, you will be awarded 2.0 CECs each time that you pass one of these three specialty tests (for a total award of 6.0 CECs). ARE YOU NOT TRAINER CERTIFIED WITH NFPT, YET?